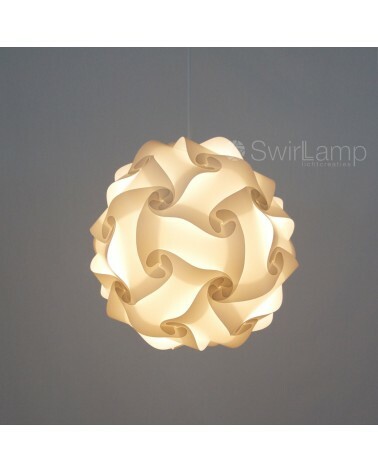 The neutral look of the white Swirlamp, makes it suitable for almost any room as your main lightsource. Above the dinnertable, in the hallway, in the bedroom or the livingroom. If there is enough space, a few Swirlamps in a row make a beautiful sight!